Senior wing Alexis Prince, a Baylor commit, is the No. 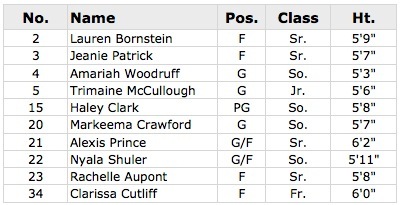 16 prospect in the ESPNU HoopGurlz 100. Combining size and athleticism with smooth, fluid play makes her a strong contributor at both ends. This season, she led her team in points scored, rebounds, blocks and steals. The Eagles beat Norland (FL) 46-36 to win the FHSAA 6A State championship. Prince had 13 rebounds and seven blocks in the title game. Sophomore guard Markeema Crawford led the team in scoring with 15 points. Edgewater will face a strong field at the NHSI, but their run through the Florida State playoffs has them battle tested.